For more information or to schedule an appointment with our Ottawa chiropractor, call (613) 228-0882 today! Every year, millions of people enjoy the benefits of chiropractic care. Our profession provides a popular, drug-free treatment, and offers a natural and preventative health care regimen designed to return the nervous system to proper function. Chiropractic therapy offers relief to patients who suffer from chronic or acute spinal health problems. A complimentary consultation with Dr. Pavich can possibly reveal spine and nerve stress caused by vertebral pressure, or “subluxation”. Subluxations can undermine your health even without causing you to feel pain. They can also cause nerve, joint, muscle or tissue damage, and overall body malfunction. Chiropractic methods can locate and correct vertebral subluxations, thus alleviating negative health affects. Your spine has a very important function in your body. Not only does it support your body's weight, it also protects your spinal cord, which is the "Central highway" of your nervous system. Our ability to walk, run, jump, lift and feel almost every sensation below our neck requires a healthy spine. Chiropractic joint manipulation or "adjustment" is a treatment where the chiropractor uses his or her hands to apply a very quick, precise, and safe amount of pressure directly on the problem area of your spine. This pressure momentarily separates the joints, allowing a gas bubble to escape (this is the popping sound or cracking noise you may have heard about). 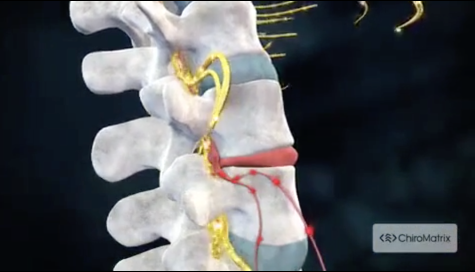 This relieves the pressure on the joint and surrounding nerves, allowing your spine to return to its proper position. The adjustment is not painful, and often provides immediate relief. It's simple treatment that works. Dr. Karlo Pavich, B.Sc., D.C. obtained his Bachelor of Science degree in Human Biology and is a 1999 lead class Chiropractic Doctoral graduate of the Guided Discovery Curriculum from the National University of Health Sciences in Chicago, Illinois. "I would like to thank Dr. Karlo Pavich for giving me back my life. After over 10 years of severe pain due to Fibromyalgia and treatment to help the pain; Dr.Pavich was able to reduce the pain level by 90%. He is a polished and professional chiropractor, who takes the time to listen and ensure he is providing treatment to the area causing the pain. Dr.Pavich explains in detail the procedure, as a result the patient knows exactly what to expect. Additionally, he has also treated me for a concussion. I was told by a few medical professional it could take up to a year to heal. In 3 treatments, I was feeling much better. The staff are friendly and it is a very calming environment. They can always find time to fit you in - even at the last minute. I wish Dr. Karlo Pavich every success in his career. I highly recommend him to anyone.